If you’re on the quest for vegetarian options, you may be interested in trying Seitan, a meat alternative made from wheat gluten. 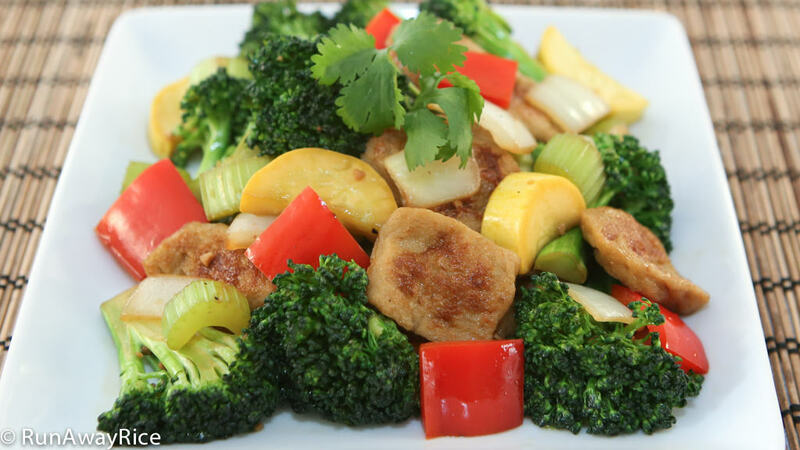 Seitan isn’t new; it’s been around for over two thousand years with origins in China. 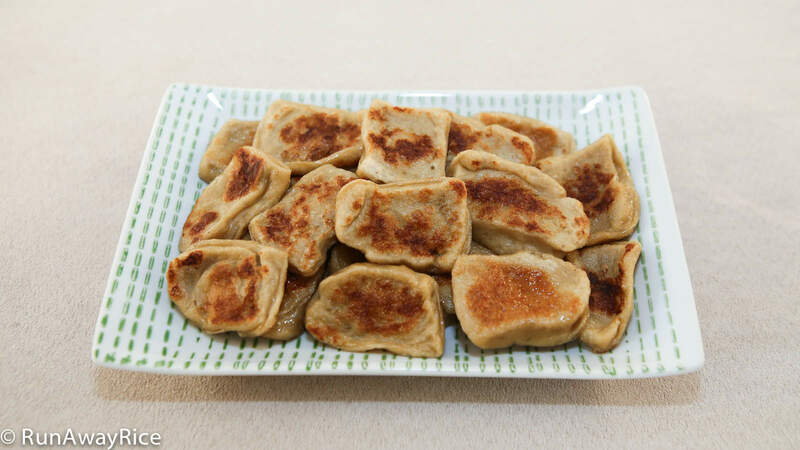 With its mild taste, chewy texture and high protein content, it’s a great substitute for meat. Like tofu, it’s really easy to season because it absorbs the flavors of the foods with which it is cooked. The best part is: Seitan is a cinch to make at home. The measurements don’t have to be exact. The dough’s resting period can vary from 1-3 hours and it’ll be just fine. In fact, I’ve left it in the fridge overnight and it seemed to be okay. It was a bit denser but tasted just fine. The recipe possibilities using Seitan are endless. Once you master how to make Seitan, let your culinary imagination run wild and replace it with the traditionally meat-filled dishes. In upcoming videos, I’ll share more recipes using Seitan and a few of my recipe creations. You can season the dough if you’d like. Replace the water with vegetarian broth for more flavor. Optionally add soy sauce, seasonings or herbs. I tried various tools to cut the raw seitan and the easiest way to cut cleanly is with a pizza cutter or a dough knife. Use the cooked Seitan pieces within the week. Optionally, you can freeze them. Sometimes I’ll make several batches, divide them into smaller portions and freeze. Then when I need Seitan for my vegetarian days, I thaw a small portion and toss into stir frys, noodle soups, etc. If you enjoy this video, you may also like: Mock Roast Pork/Seitan Roast Pork (Mi Can Xa Xiu), Braised Seitan and Vegetables (Mi Can Kho Chay) and Curry Lemongrass Seitan Stir-Fry (Mi Can Xao Xa Ot). Sift the vital wheat gluten. Add warm water, baking powder and salt into a medium bowl and stir to dissolve. Add the sifted wheat gluten and stir quickly combining the gluten with the water. Fold the dough onto itself a few times and work in any remaining dry gluten. Knead gently for 1 minute working the dough together. Place in a small bowl or container. Cover with plastic wrap and allow to rest for 1-3 hours. Cut dough into slices and then into smaller pieces. Bring a large pot of water to a rapid boil. Drop in seitan pieces leaving space in between so they don’t stick together. Boil until all pieces float to the top, approximately 2-3 minutes. Transfer to colander and allow to cool for a few minutes. Heat a skillet over Medium High heat until hot. Add 1 Tbsp vegetable oil and coated the pan evenly. Place seitan pieces into the skillet leaving some room in-between. To prevent the pieces from sticking to the pan, move them around the pan during the entire cooking process. Cook each side until golden brown, approximately 2 minutes. Between the boiling and pan-fry it’s enough heat to cook the seitan thoroughly. I cut my seitan fairly thin. I recommend boiling longer next time if your pieces are larger. Let me know how that works for you. Good Luck! I tried your recipe earlier, I doubled the recipe but for some reason there were alotmof excess water left after the dough has formed. What am I doing wrong? Did it affect the texture of the seitan? It’s common for some water to remain. You have to work the dough really fast to get as much water to absorb as possible. If you would prefer a denser seitan, skip the baking powder. You can also add less water or more vital wheat-gluten. Enjoy! Is it a choice as to whether the seitan is boiled or fried or do you boil it first and then fry the pieces? I typically boil the seitan first to cook it completely. The pan-frying is to give it a nice crust so it doesn’t stick so much when stir-frying. You can opt for just one cooking method if you’d prefer. Good Luck! Does the temperature of the room matter while the seitan is resting? Mine doesn’t look like it’s puffing up. Hi Michelle, the room temperature does not affect the resting seitan. This dough rises just slightly. It won’t double in size like bread dough. Hope that helps! Hi Trang, is that mushroom oyster sauce you are using for the veg. stir fry sauce for your braised seitan + vegetables? Also do you use sweetened or salted ground soya bean sauce? Sorry, I can’t see the pic of ingredients clearly.